Chelsea endured a difficult Sunday afternoon, with Maurizio Sarri watching his side lose 6-0 to Manchester City. You don’t often see such one-sided scores in the Premier League, particularly when one team in the top-six faces another, but City were superior to Chelsea in every department. Sarri, who has only been with the Blues for a short time, now finds himself under huge pressure, with supporters calling for change in the Stamford Bridge dugout. One man many are backing to return to the club is John Terry, who is currently earning his stripes as Dean Smith’s assistant at Aston Villa. Terry, who won numerous trophies with Chelsea during his spell at Stamford Bridge, brought an end to his playing career after 12 months with Villa last season, but quickly turned to coaching. 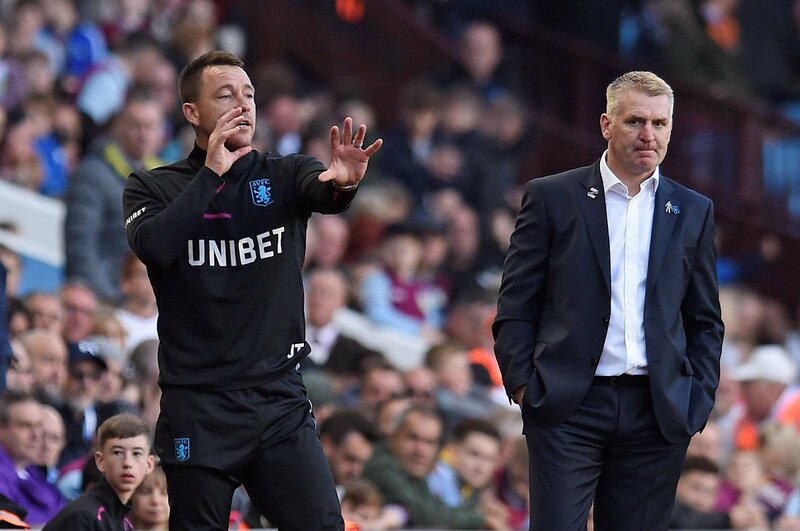 Many don’t see Terry, 38, as the man to replace Sarri at Chelsea, but they feel the influence of the Aston Villa assistant would be good at this difficult time.